I really haven’t written much at all about the Mayan calendar 2012 date; i.e. the Winter Solstice lining up exactly with the Galactic Center coinciding with the ending of the Mayan calendar on December 21, 2012. 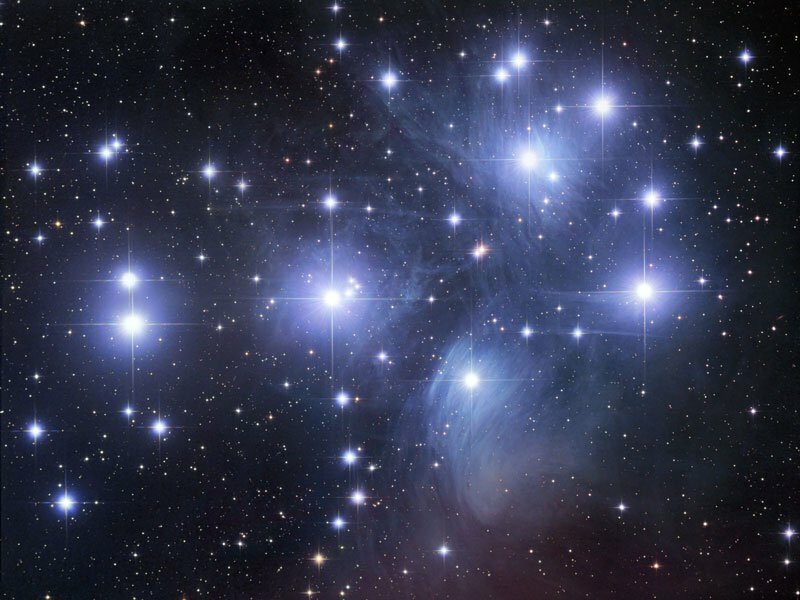 The Pleiades is also claimed to be connected to this cosmic alignment, however, as far as I can determine this claim is based only on some references to ancient Mayan texts, but which has no basis in any hard astronomical facts. The Mayans apparently claim that the Sun revolves around Alcyone (a major star in the Pleiades constellation) every 26 thousand years, but if that were to be true, the constellations in the sky would be rapidly changing every thousand years or so, but in fact they are basically the same since recorded history of the last 5,000 years. Therefore I conclude that the Pleiades connection is based on shoddy science. However I have not made any great study of the 2012 Mayan issue, because I think that the movements of the solstices are so slow (about 70 minutes of a degree every century) that a couple years either side of that exact date of December 21, 2012 are not going to make much difference, even going into decades before or after 2012. The world is indeed breaking down and being recreated with national boundaries being rewritten or merged, climatological (man-made and not) aberrations, wild economic and social fluctuations, and all manner of global consciousness heights and depths do indeed corroborate the idea of some kind of planetary transformation. Frankly, looking at the social, economic, and political conditions out there, I would say that the world as a whole is moving towards a proto-dystopic, authoritarian and hyper-feudalistic scenario where there is a small technological ruling class over sprawling working class billions crammed into functional, but basic population zones. Such a rigidly controlled world-society is doomed to certain breakdown and collapse, leaving a populace hopefully to rise from the ashes to a more spiritual refined and cultured civilization. However that hoped for world, is decades, if not centuries from realization. I certainly don’t intend this article to be a rallying cry for a spiritual togetherness under some specific banner of person, philosophy, religion, or new political system; because I think that any form of synthetic solution will be woefully inadequate by nature (many times tied to the ego of some leading figure), but a new world paradigm will emerge by a process of many hands over a period of time, a conscious and God-fearing world pursuing the high calling of cooperation and peace building. So will the world end on 2012? Definitely not. To me it’s easy to run and hide from the impending apocalypse because then we don’t have to work things out, to be civil to our neighbor, or to start building the world we want to live in. As far as I can remember there has always been an impending doom threatening us; from the communist menace, to economic collapse, to now Islamic terrorism and too much carbon dioxide in the atmosphere. When people are in a state of fear they are more easily manipulated and taken advantage of. People in general are accustomed to being kept in a state of fear, it’s a part of our culture. From early civilization we’ve been terrorized by wars, captivity, slavery, and class struggle; and people are kept in check mentally by being told that this is how things must be as much as they are physically by their chains and overseers with whips. Today people think they are free, but they are really literally enslaved to their jobs, their mortgages, the price of basic commodities with the threat of the loss of it all unless they keep going to their drudgery jobs, trading their freedom for some sense of security. The bread and circuses of ancient Roman days are now become professional sports and entertainment in movies and television. So the idea of the “end of the world” just around the corner to me is just another technique of social manipulation, basically false, but something to get us all riled up and distracted, while we are robbed and raped one more time by the truly evil people of society. I have gotten caught up in those doomsday scenarios in the past, but I’ve come to conclude that there is more keeping us all together than there is trying to tear us apart and that the world as we know it is not going to implode anytime soon. Things never turn out as bad, or as good, as they are purported to be; it all kind of falls in the middle somewhere. This is not to say that trends can’t be identified and forecasted in a loose way, which I have already done in this article. Corrective measures definitely are demanded of us all, and it is a matter of urgent priority. The ever growing police-surveillance state, the toxification of our world through pollution, abuse of nuclear power, GMOs tainting our food supply, the crushing of our national economies by the extortion and plunder international banking system, the persistent expansion of militarization, and the aggressive drive towards social conformity to a lowest common denominator of decency through media and mass-programming techniques are all counter-evolutionary trends which must be resisted and reversed. 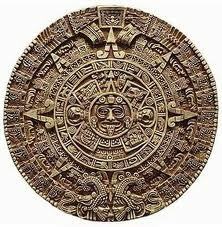 The Mayan calendar does not end, it simply starts over. Just as with the end of the year brings the beginning of another. Nothing ever “ends” it merely is in the process of flux from one state to another. So even if a giant asteroid suddenly hit the earth, ending all life; we would have karma to balance with each other, and we all would be back very soon together again to continue to process of group evolution. Life just doesn’t “end” so simply.